Smart. Hilarious. Clever. 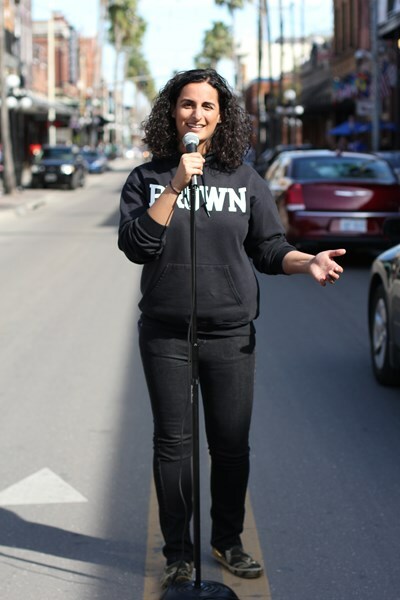 These words are often used to describe Shereen Kassam, who gained national attention as the only woman finalist at the HBO Comedy Wings Competition. Internationally touring speaker, Shereen Kassam, is the perfect fit for your next event. Whether you need a speaker for a high-school, college, or a corporate event, then look no further than Shereen who is a trained stand-up comedian, improv coach, and speaker who draws on her corporate work experience at JPMorgan, Deloitte, Amazon, and Disney. It's all about the event with Shereen, who delivers presentations that are built on heartwarming stories, experiences, and humor, that engages, inspires, and resonates with people on their journey. Shereen speaks at over 100 events a year, interlacing her keynote speeches and workshops with comedic humor. 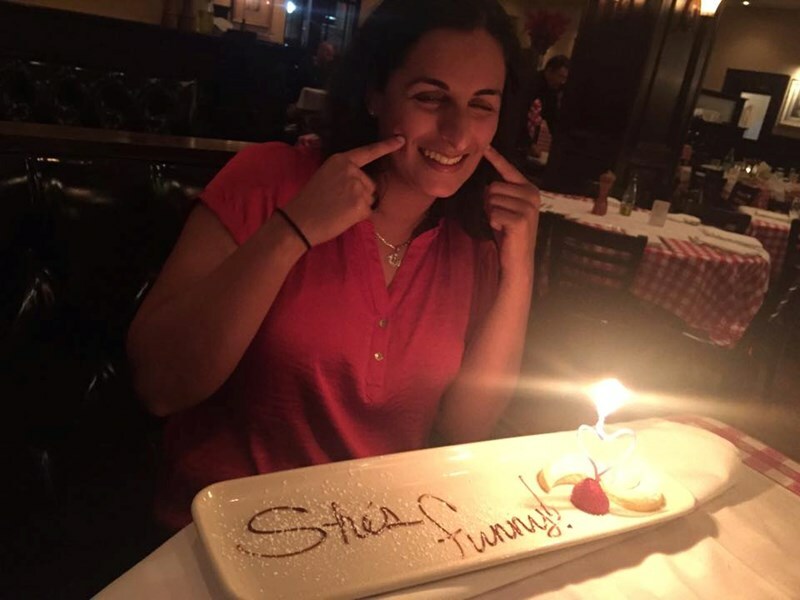 As a stand-up comedian, Shereen has performed on stages from Saigon to New York, and appeared on HBO in 2017, as well as has opened for Arsenio Hall, Carlos Mencia, and Gary Gulman. You can also bring in Shereen to Emcee or Host your next event! In 2018, Shereen had the opportunity to host the inaugural Jubilee Arts Festival in Lisbon, Portugal in front of audiences of 15,000+! 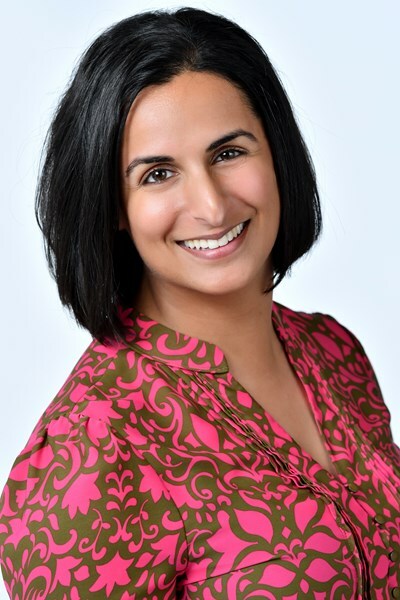 A professional speaker and improv facilitator, Shereen is available for speaking and training engagements, focused on creative service, leadership, and teamwork. Shereen will custom tailor each performance to your company and/or audience at the event. She will work with you directly to make your event the best one yet! Past clients include University of Central Florida, Brown University, Rolyn Companies, Administrative Professionals Conference and many more! First of all , she was on time and ready to go which was very important due to tight schedule. Secondly, she was mindful that kids were in the room but still funny. Thirdly, I would highly recommend her and planning to attend her opening for Aresenio Hall at Orl Improv 12/15. Please note Shereen Kassam - Comedian/Motivational Speaker will also travel to Winter Park, Lake Jem, Maitland, Goldenrod, Altamonte Springs, Clarcona, Fern Park, Gotha, Casselberry, Ocoee, Windermere, Apopka, Longwood, Winter Springs, Winter Garden, Kissimmee, Oviedo, Oakland, Lake Mary, Plymouth, Chuluota, Killarney, Sanford, Zellwood, Montverde, Lake Monroe, Saint Cloud, Ferndale, Intercession City, Sorrento.